There are many luxury hotels in London. But Andaz Liverpool Street London has a blazing-hot location that will thrill young luxury travelers. The hotel's social scene adds to the excitement. Guests have their choice of several in-house restaurants and bars, including the stunning Catch Champagne Bar & Lounge. And they're all set in breathtaking Victorian-era rooms. Andaz Liverpool Street London is set in central London on the eastern edge of the City, London's financial heart. It is amidst the restaurant and nightlife hub of Shoreditch and beside London's most avant-garde neighborhood, Hoxton. The hotel's perch, Liverpool Street, is all business by day, all action by night. This neighborhood is a magnet for high-spirited, upscale London revelers and trend-conscious shoppers. Andaz Liverpool Street London is brilliantly situated for London transit. Andaz Liverpool Street London is not just well located. It is beautifully designed. The building is a fine restoration of a handsome red-brick Victorian edifice constructed in 1884. In 2006, the property became an Andaz hotel, the design-hotel label of Hyatt International. Rooms were completely redone, with high-end furnishings and attractive objets d'art reminiscent of boutique hotels. The hotel's 267 rooms are not cookie-cutter corporate or severe. They are modern, but with individual character, warmth, and charm. What Else Stands Out at Andaz Liverpool Street London Hotel? Guests can anticipate fine-tuned personal attention that approaches five-star hotel service. The hotel's main dining venue, the stunning 1901 Restaurant and Wine Bar, serves breakfast, lunch, and dinner. 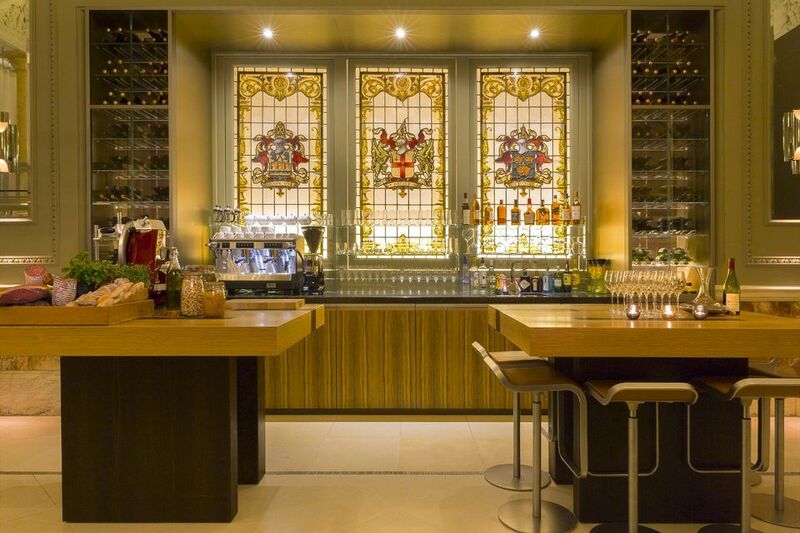 Andaz Liverpool Street London Hotel offers several other excellent dining options. As is common in the travel industry, the Guest Author was provided with a complimentary visit in order to describe the hotel. For more info, see our site's Ethics Policy.